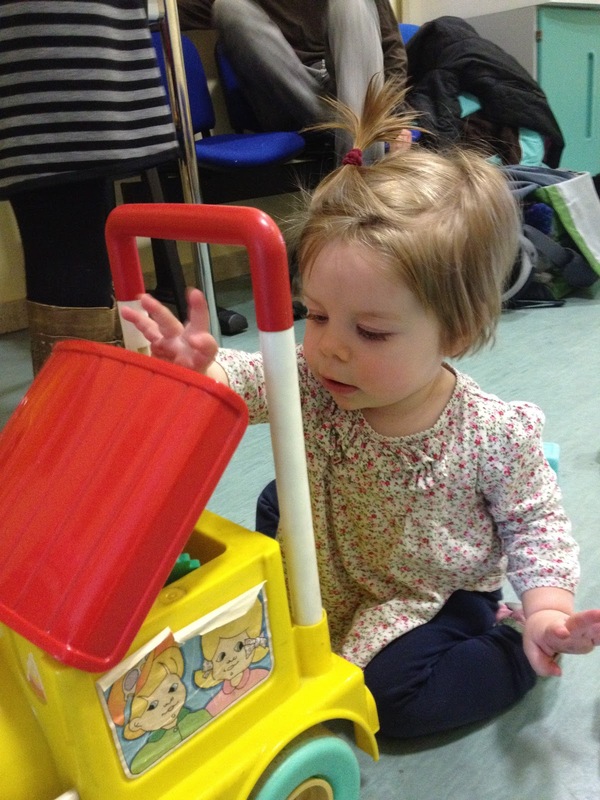 At Lena's 9-month check-up a few weeks ago, Dr. Josh thought he heard a heart murmur in Lena's chest. Since this was the second time he'd heard it, it deserved closer examination. Both Elliott and I felt our own hearts skip a beat as we listened to Dr. Josh describe the recommended next step: getting an echocardiogram, or ultrasound of her heart. The tiny 17-bed hospital on base doesn't have a pediatric cardiologist, so we would have to go into "the big city" of Catania, for the ultrasound. Just as he'd promised, we got a phone call in about a week to tell us that a van would be leaving from the base hospital with an Italian translator sometime the following week. We could get a ride in the van and the Italian translator would facilitate the forms, tests, and proceedings at the Italian hospital in town. Yesterday was the day. I met Elliott on base and we boarded the van with another anxious family. It's hard to describe your emotions at that point. You know your baby looks totally normal and happy, but within, inside, in the unseen knit-together places, there might be something wrong. There might be a defect that will cause her great suffering in the future, or cause a cardiac malfunction while sleeping in the night, or require surgery in the States. If it turned out her condition was serious enough that the hospital on base could not take care of her, Lena and I would be required to move back to the U.S. Elliott might be left behind. It happens rarely, but when children on base develop serious conditions such as juvenile diabetes or when babies are born who are too premature for the base hospital, families are divided for lengths of time due to the need for more intensive medical care. We weren't going on a picnic that day. We were definitely probably way too freaked out, but... well, you know what was going through our minds. The hospital in Catania did not look like a hospital, and we were grateful for the calm presence of the Italian woman with us. We walked into the quiet halls of the hospital and into the Pediatric Cardiology wing (cardiologia pediatrica). 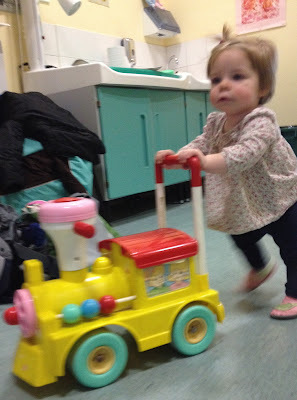 Thankfully they had an incredible playroom, and Lena went to town with all the toys. The other girls in the van with us fell in love with Lena and the three of them played happily for about an hour while we waited for our turn. Finally it was our turn. We walked into the echo room and took off Lena's shirt. At this point I expected her to begin crying, and I'd been imaging how I could lay down on the table myself with her on top of me, or could lay her across my lap and nurse her simultaneously. However, incredibly we did not have to do any of those things, because Lena was a jewel. She was fascinated by the doctor, fascinated by the dark room, and completely and utterly fascinated by the ultrasound screen. (There are advantages to not having a TV... because your baby will lie in rapt attention whenever she sees one!) As the doctor began to move the ultrasound wand over little Lena's chest, I remembered my two ultrasounds when I was pregnant with Lena and I could see her little form for the first time inside me. Now she was lying on the table for her own ultrasound. Things change quickly. The exam didn't take long because Lena lay so still and curious. Que buona questa bambina! the doctor exclaimed towards the end. How good this baby is! We were proud. And then the doctor said she was finished and turned to us. The translator tried to translate everything for us as the doctor spoke, but she didn't have to. The words for the valves, atria, ventricles, and so on are pretty much the same in Italian as in English, and as a nurse and a veterinarian speaking to a doctor, we already spoke the same language. We understood that the doctor saw nothing abnormal. We understood that every atrium, every ventricle, every valve was functioning normally. We understood that what Dr Josh heard was probably just the muscles on the valves making a little noise; that's called a functional murmur. We understood that her muscles would grow with her heart and she would grow out of this. We understood that the doctor thought we had a beautiful little daughter and nothing to worry about. Such gratefulness washed over us as we held each other's hands and held our daughter tight on our way back to the playroom. We don't, we cannot, take any moment of true good health for granted. It can be snatched away in a moment. We are not invincible. We are weak and we are blessed with God's mercy. After the test Lena and I were all smiles. 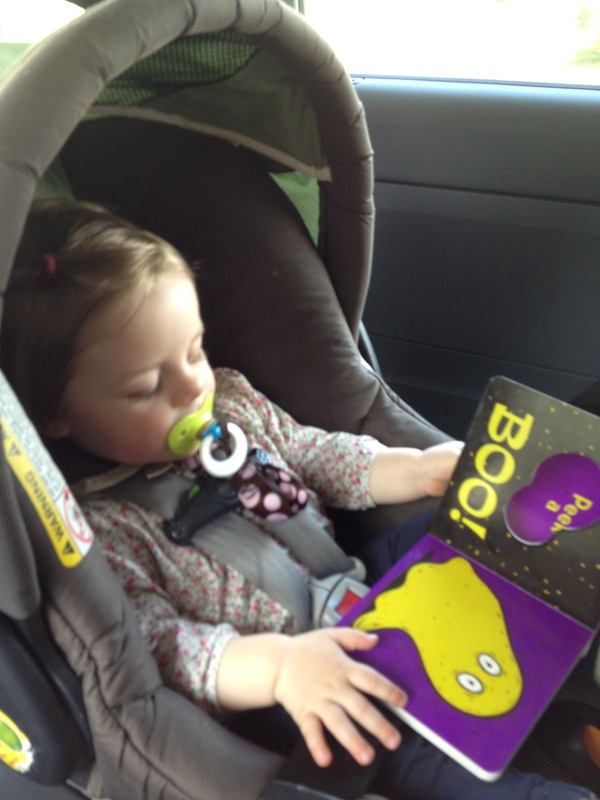 Later we drove home, and Lena read her peek-a-boo book from her grandparents (one of her current favorites!). She took a long nap and woke up ready to play some more. For another day. We are so thankful. awwww!! ps Loving Lena's new hairstyle. and yours! So grateful for this news! Why didn't you call and rally the praying forces? That's what we always did when our babies were headed for the ER or other scary tests. Yes, we know how you must have felt--at least I think we do :). Lots of love to you all three. God is good to the Garbers. I think we were in denial and refusing to think about it that much, and hence we didn't rally the praying forces like we should have. A good reminder for next time... although of course we sincerely hope there is no "next time"! This brought tears to my eyes, Becca. You definitely captured the feelings and their changes through the experience. I'm so very glad that your little one is knit together well on the inside. I know I told you, but I took you to the hospital in Ann Arbor Michigan when you were about the same age...for an echo because the pediatrician had detected a heart murmur. It turned out to be a functional murmur, too. History is repeating itself!